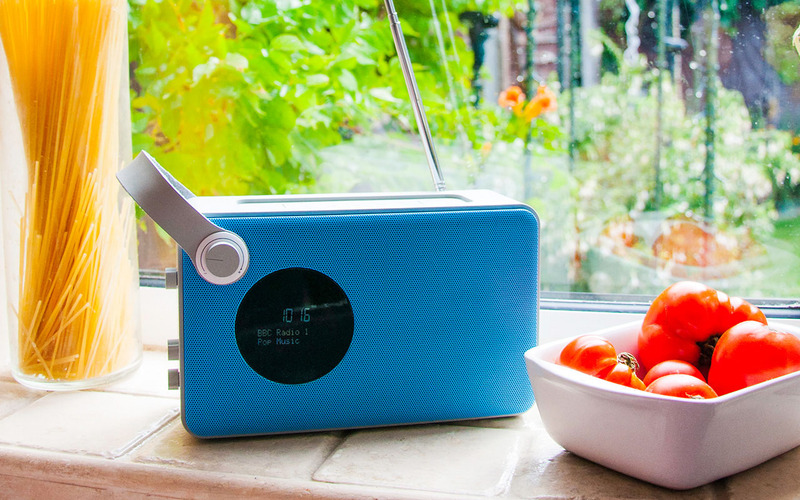 BluMotion is a design-oriented radio with a stylish leather handle which is able to broadcase classical FM as well as digital radio. Thus, the choice of stations grows bigger and the quality of the music increases. In the same way, the trendy radio can play music from a tablet or smart phone. The easy-to-read display shows information on the operating status. The integrated Lithium-Ion battery is charged via micro USB and features a capacity of up to 48 hours. Handling is intuitively and easy.